The history of Riedel glassmakers stretches back to 1678, when in northwest Bohemia near Steinschönau, a glass trader by the name of Johann Christoph Riedel passed down his passion for glass to his son – the first in what was to become a long line of artisans, committed to the art of glassmaking. While today the name Riedel is synonymous with some of the world’s most revered glassware, their legacy almost did not make it out of the ashes of World War II. Riedel’s dedication to his family’s legacy began in childhood when he was an apprentice to his father and had the chance to watch his grandfather at work. After high school, he attended a local college in order to split his time between classes and working at the factory, and then in 2000 at the age of 23, he moved from Austria to New York City to take on the role of executive vice president of Riedel Crystal of North America. Three years later, Riedel became CEO and president and three years after that, he joined Young Presidents’ Organization. Riedel credits these three things – family, New York and YPO – with making him the man he is today. Riedel says he recognizes all of his employees, knows all his manager’s first names – a personal touch he learned during his years in the United States. Reading about the evolution of Riedel glasses means reading about wine, but more than that, it means reading what amounts to love letters to the world of viticulture. In 1973, Claus J. Riedel was the first designer to recognize that the shape of the glass from which one consumes wine affects its bouquet, taste, balance and finish. In accordance with the Bauhaus design principle (that form follows function), he set about creating stemware that would match, and complement, the wines it held. In 1986, the company made history by creating the first machine made glass based on the characteristics of a grape varietal. In 2000, the Vinum Extreme was produced to highlight the special qualities presented in the best wines from the New World (aka not Europe). 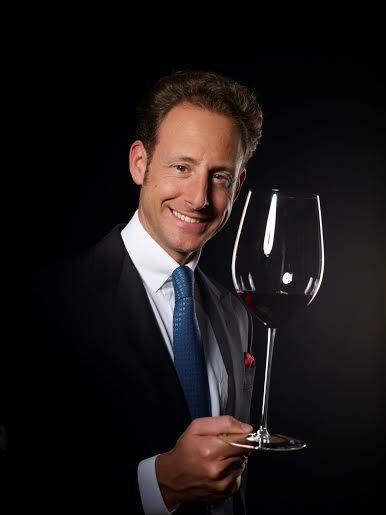 In 2004, Maximilian Riedel created the O glass– the first varietal specific wine tumbler in history. The NexGen student design competition is just the latest innovation from the fecund mind of Riedel. The program partners with leading international design schools to challenge students to reimagine the Nachtmann Crystal (the lifestyle division of Riedel Glassworks) aesthetic in their own vision. Three winners get the opportunity to bring his or her concept to market through the Nachtmann brand. Thus, Next Gen was born. Riedel’s favorite part of working in the food and beverage industry, he says, is the people. And, Riedel’s least favorite part of working in the food and beverage industry, he says, is also the people.